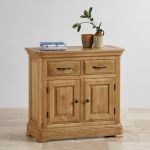 A sideboard is one of the most versatile pieces of furniture you can bring into your home, and our Canterbury small sideboard is no exception. 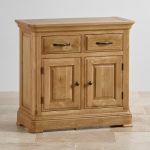 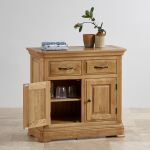 Designed to bring both storage and style into your dining room or living room, this pieces is durable, looks great, and will last for years to come. 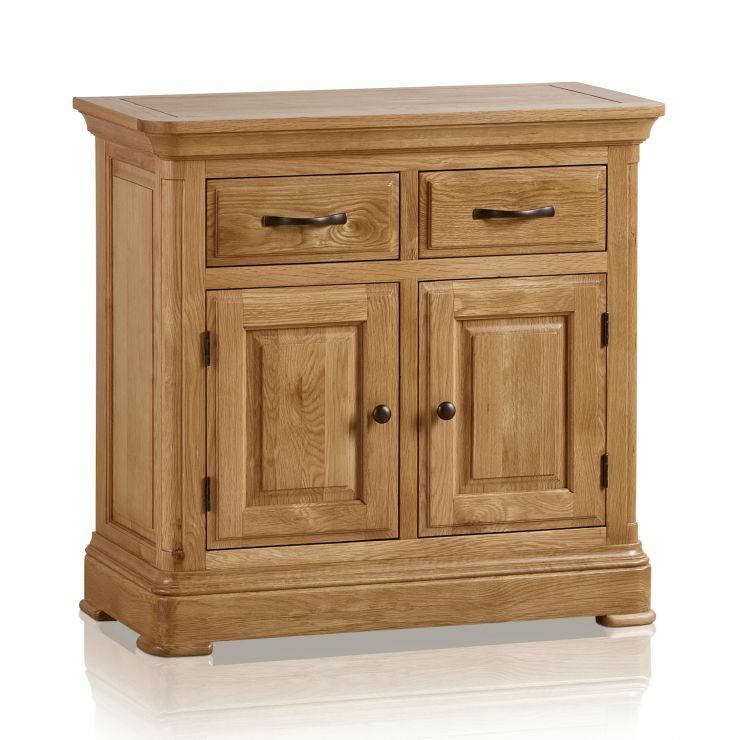 Made from A-grade timbers in our popular natural oak finish, it has a light, modern feeling, which is balanced by traditional design elements. 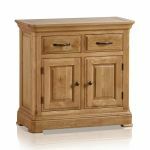 The top features classically flared cornices, and the bottom a deep pedestal base. 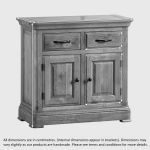 The look is finished with dark antiqued metal hardware. 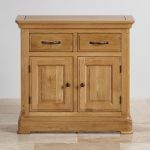 You'll have plenty of space to hide things out of sight thanks to the sideboard's many drawers and cupboards, all finished to our high quality standards. 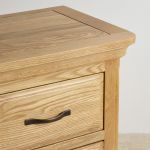 As with all of our products, we never use any inferior materials in our sideboard, so even the backs, bases, and drawer runners are made from solid oak.